If you’re looking for bamboo and playing Minecraft Java Edition, look no further. Fire up a game of 1.14 (or higher) and plug in the seed ‘someall’. The game will start with you in a jungle biome close to a river. Make your way the few short block walk to the river and you’ll see the dense bamboo sprouts on the opposite shore. Bamboo was much harder to come by before 1.14. 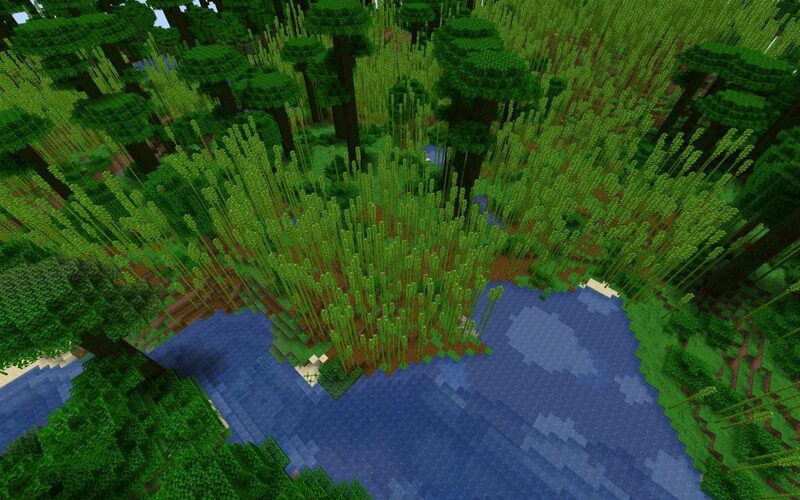 With players looking for bamboo to make scaffolding (and other items), bamboo has taken a much more prominent role in the world render algorithm.This seed makes it apparent that you’ll have no problems finding vast fields of bamboo. 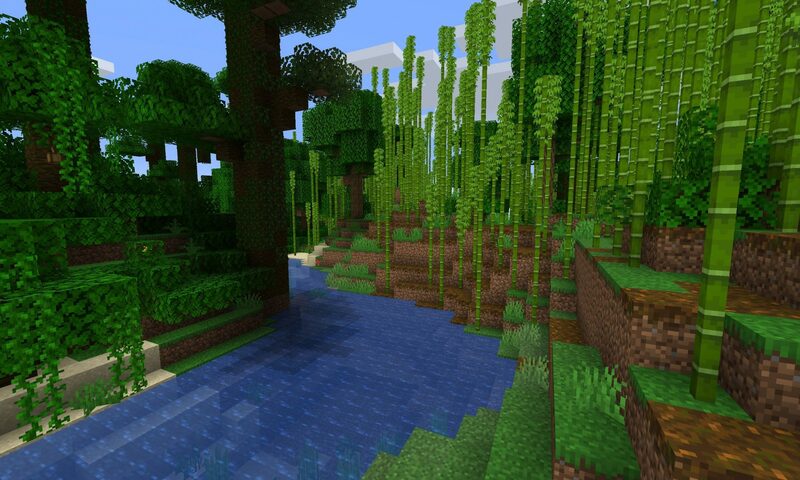 The bamboo forest biome in this seed. Game spawn is on the opposite river bank.